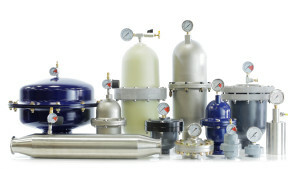 FTI Air offers a variety of accessories to enhance the installation of FTI Air Double Diaphragm Pumps. 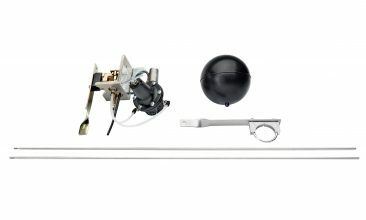 These include a drum pump kit, an air filter/regulator with gage, pulsation dampeners, unique lower cost AODDampener and SPILLSTOP to safely capture fluids and shut down pumps due to ruptured diaphragms. The FT05 drum pump kit is ideal for transferring a wide variety of materials from drums. The easily installed kit converts ½”/13mm FTI Air double diaphragm pumps to an easy-to-use drum pump (pump sold separately). The FTI Air Batch Controller is an electronic device that controls the number of pump cycles by managing on/off output to a solenoid installed in the pumps air supply. The batch controller counts pump cycles and controls the output to the air control solenoid based on a user setting for number of cycles per batch (automatically turning the pump on/off ). Batch/volume pumped estimates can be made using published displacement per stroke value for each pump size (displacement is shown per stroke; batch controller counts cycles which is two strokes). Counts pumps cycles and controls the output to the air control solenoid based on a user setting. Ability to control two pumps, each with independent batch programs. Can save up to three programs per pump for maximum flexibility. Include number of pump cycles, repeat delay and batch count. Batch and run modes (in run mode pump can be turned on/off via function key on control panel). Contains all the cables required to work with two pumps out of the box. Batch control includes power cord, two prewired proximity sensor cables and two plug-in solenoid control cables. Optional easy to use extension cables to extend length. Optional solenoids turn air on/off to pumps from batch control signal. Available in 115v, 230v or 24v with plug and play DIN connector. 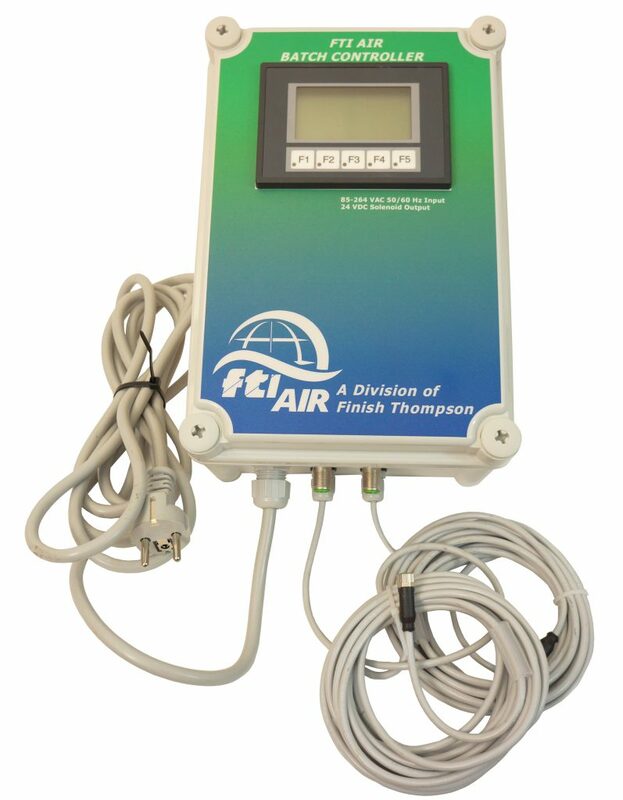 The FTI Air Cycle Counter is an electronic device that counts pump cycles by detecting the presence of the valve carrier. 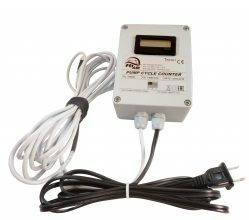 The cycle counter can be universally used on any new or existing FTI Air pump with the proper air valve components. The FTI Liquid Level Control is a pneumatic/mechanical device that will automatically turn the pump on and off as the liquid level changes. 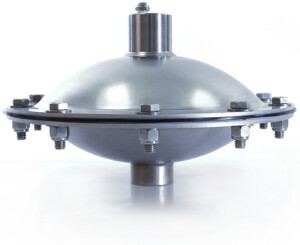 AODDampener is unique pulsation dampener manufactured from 316L stainless steel with PTFE backed diaphragm, has fully automatic air control and handles a wide variety of applications. Removes virtually all hydraulic shock while producing a near steady flow of fluid. Recommended to protect piping, valves and fittings from destructive pulsations and surges. Available in a wide range of materials of construction. 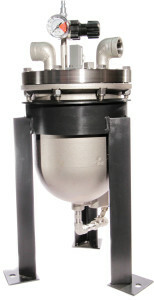 Compact, integrated design saves space and reduces piping, includes dual scale psi/Bar gage. Filters incoming air to five microns. Regulator adjusts air pressure from 7.3 to 123 psig (.5 to 8.5 Bar). Fully pneumatic system safely captures leaked product due to diaphragm failure and automatically shuts down failed pumps to eliminate costly product loss and prevent hazardous spills.